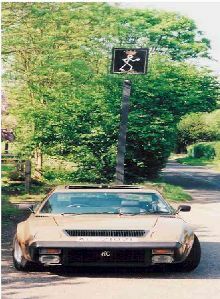 The AC 3000ME first appeared in 1973 as an all new, British built, mid-engined sportscar, however the first production cars were not built util 1979!. 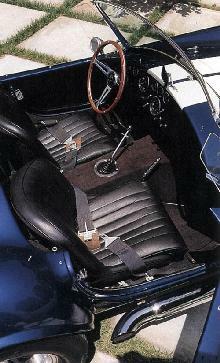 This new car was the first mid-engined car in the AC range and was one of the few British sportscars to feature this engine layout. 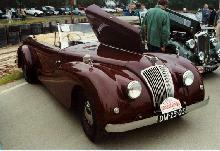 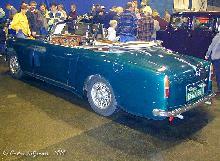 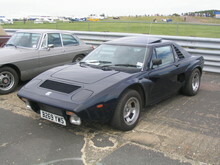 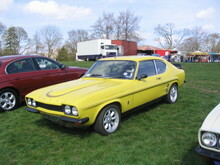 The 3000ME used a tuned Ford V6 "Essex" engine, which could be found in other cars such as the Capri 3000 and Reliant Scimitar of the same period. 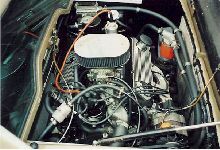 Unfortunately this particular engine failed to deliver the kind of power that the cars name and appearance suggested, top sped was a modest 120mph. Despite the power plants shortcomings the 3000ME offered Italian style, supercar looks and a good level of standard equipment, sadly only 82 cars were produced between 1979-1984. 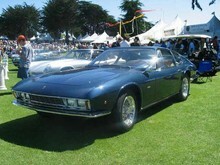 7' 6" 4' 7" 4' 8" 13' 1" 5' 5" 0 (0) 0' 0"